One of the best ways to promote your business is through social networking sites. With over 700 million monthly active users, Instagram is one of the best social networking platform that can help you make your business stand out. With a business account set up, you can get your products or services to the right audience. With an amazing number of active Instagram users, using Instagram is definitely a good way to step up your business. Let me guide you in setting up a business account in Instagram. Setting up is really easy. Just perform the following steps. After the app has been downloaded, open the app. Tap Sign Up, then enter your email address and tap Next, or tap Log in with Facebook to sign up with your Facebook account. Go to the app Settings, then scroll down to Switch to business account. With a business account, you can add additional information about your business such as opening and closing hours, address, etc. After getting a business account set up, you need to post content concerning your business and follow users so as to engage with them. You’ll need to have a proper strategy when it comes to getting more followers and coming up with interesting content. Instagram provides a lot of ways so that you can engage with users in a creative way and post creative posts. Let us look at some ways that will help you to be more creative with your business account. Instagram is all about visual content. Creative content can have a bigger impact to your audience. Being creative, doesn’t mean just to be creative about your products. You need to be creative in a way that you can connect to your audience. Showing your work culture, how you create your products or how you do your services can go a long way. Setting up a good business profile plays a major role in getting more audience. Using the functionalities of a business profile efficiently can help you a lot. You can set up your account in such a way that it mentions your opening and closing hours, business website link, business address and contact information. The only link that you can place in your profile is in the Bio section. But remember, you do not always have to stick with one link. For example, if you have a hot product on sale you can change the link to point to this product. 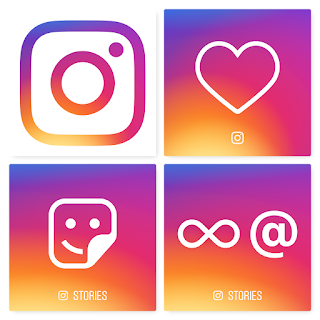 Instagram stories is another way to get your existing or potential customers’ attention. Instagram Stories is featured on top of the Instagram app. Creating an interesting story can make all the difference. You can share photos, short videos, boomerang videos, etc. along with other features to get your audience’s attention. Make sure you use hashtags when you make any posts because users can also search content in Instagram using hashtags. Using the right hashtags can definitely help getting more followers and customers. Use hashtags that are relevant to your post. For example, if you are sharing about a restaurant, you can use a hashtag like #restaurant and also hashtags about the dishes available in the restaurant or even the location of the restaurant. Analyzing is one of the key factors of marketing. Studying about your strategy is an essential part of marketing. Make sure that you periodically analyse your marketing strategies to see what worked and what didn’t. This can help you to improve and strengthen your marketing techniques. You can pay Instagram for displaying advertisements. You can also choose the kind of audience that the advertisement should target. You can target people based on their age group, gender, interests, etc. Instagram is one of the best ways for you to step up your business. You can head on to Instagram Business website to get more details about using Instagram Business. You can also get free training from here.